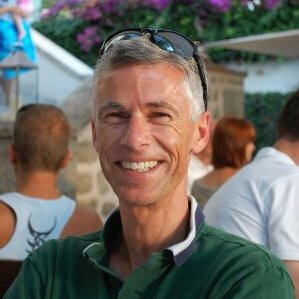 With the June 23 Brexit vote rapidly approaching, brokers are taking preliminary measures of altering margins. The upcoming Brexit decision has gripped currency markets, and with it has come a metastasizing fear of the rampant volatility that brokers are preparing for. 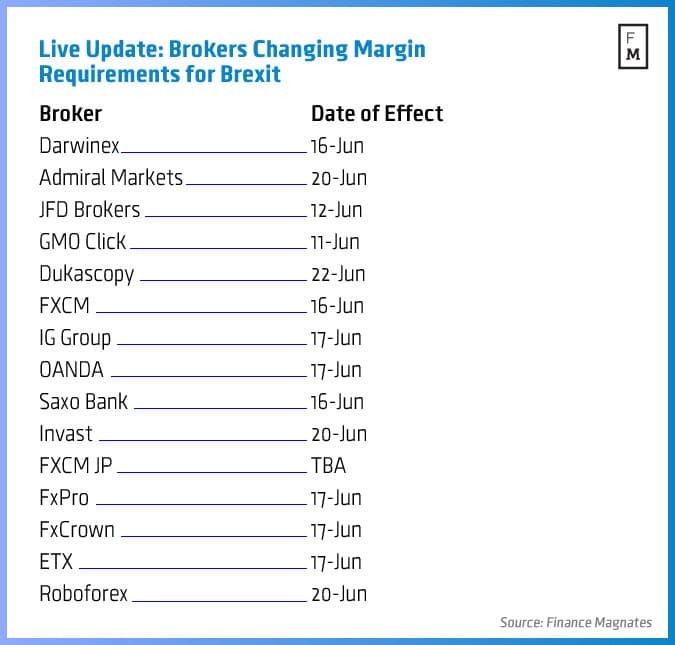 As such, brokers such as FXCM and Saxo Bank are taking preventative steps by hiking margin rates on key currency pairs ahead of the June 23 decision. The hoopla surrounding what could be a historic decision this month is the culmination of months of speculation. Indeed, a number of polls highlight the plausibility of a Brexit unfolding, which could easily convulse GBP-denominated currency pairs as volatility would catapult to levels not seen with G10 currencies since the Swiss National Banking (SNB) decision back in January 2015. More specifically, starting next week on June 16, Saxo Bank will be raising its margin rates for all UK Index contracts-for-difference (CFDs) that are GBP-denominated. In addition, the Danish broker is also eying an increase in European Index CFDs (EUR), UK single stock CFDs (CHF), UK stock options (JPY), and UK cash stocks (XAU) – the full list can be accessed by reading the following link. For its part, FXCM is also embarking on a parallel strategy, and will subsequently be altering its margin requirements on GBP and EUR pairs beginning on June 10, with the advent of additional increases poised for June 17. Other brokers will no doubt be following suit as the June 23 vote draws nearer. IG Group has also unveiled plans to increase all margins for GBP pairs on June 10, with additional measures on June 17 and June 22 respectively.